Transport & Environment is an environmental campaign group that promotes, at EU and global level, a transport policy based on the principles of sustainable development. Transport policy should minimise harmful impacts on the environment and health, maximise efficiency of resources, including energy and land and guarantee safety and sufficient access for all. 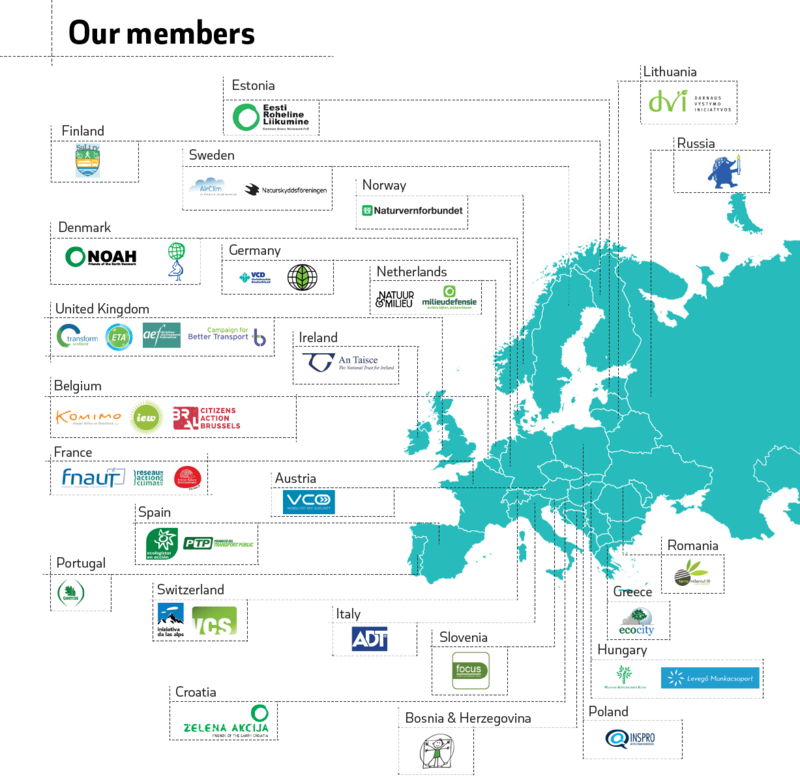 Established in 1990, T&E represents around 50 organisations across Europe, mostly environmental groups and campaigners working for sustainable transport policies at national, regional and local level. We add value through the sharing of knowledge, ideas and networks. Credibility is our main asset. Therefore we are non-profit and politically independent and we are strong believers in the power of science and evidence in policy making. Our work is focused on the areas where European and global policies have the potential to achieve the greatest environmental benefits. These include setting standards for the cleanest possible cars, vans, trucks, ships, planes, and fuels, transport pricing so that polluters, not society, pay for pollution, and greening EU investment in transport.